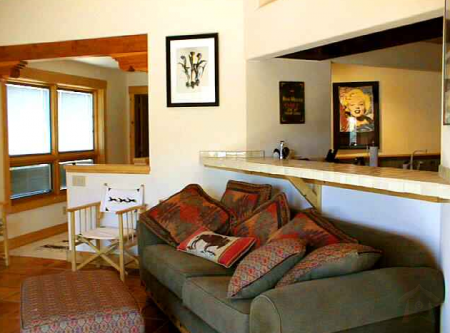 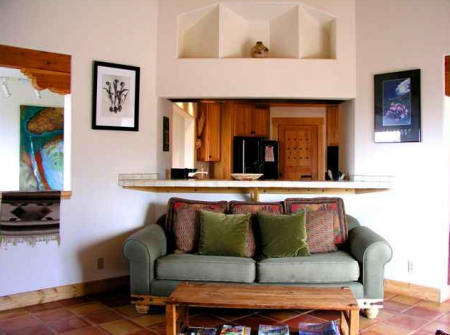 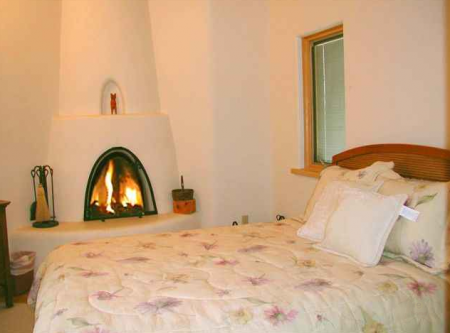 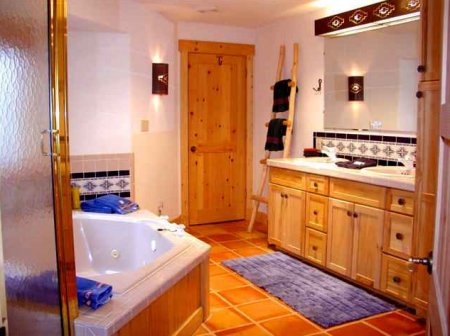 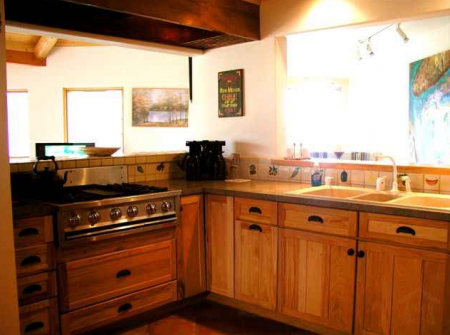 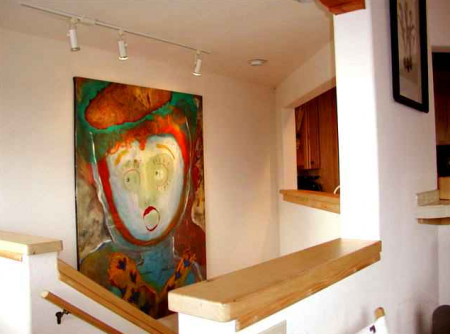 Casa Cielo in Taos, New Mexico - Private, secluded and nestled in a forest of fragrant tall pines this two story, contemporary vacation home offers a setting reminiscent of child hood days and summer camp! 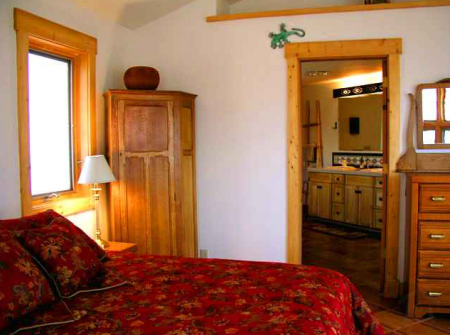 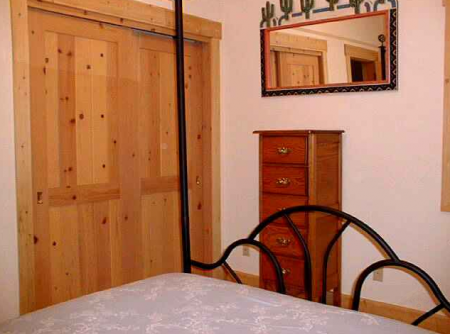 The incredible scent of fresh pine fragrance and and the sound sensation of cool mountain breezes are the only sights, sounds and smells you will experience in this totally private setting of tall pines with exquisite mountain views. 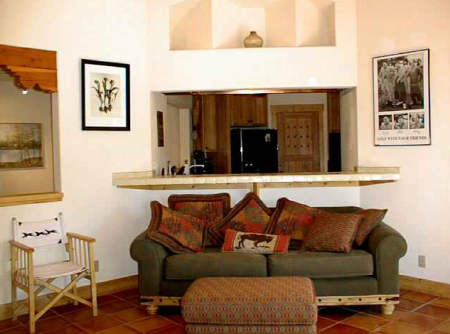 Casa Cielo has an abundance of large view windows and is light, bright and airy. 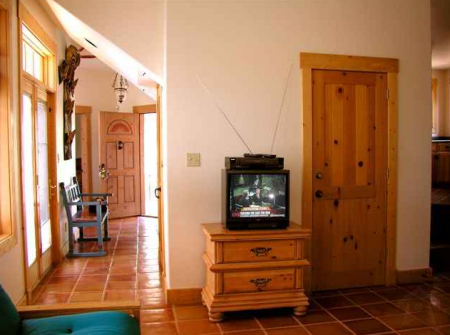 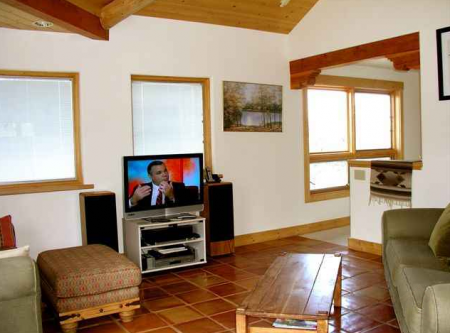 Both living room and den have their own TV so Kids and Adults can enjoy their own programs. 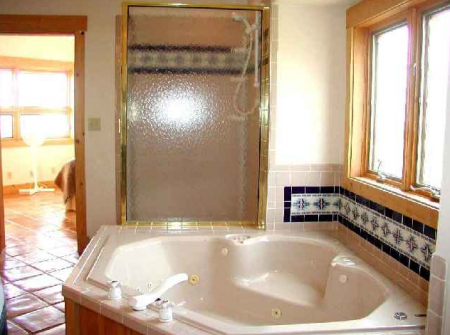 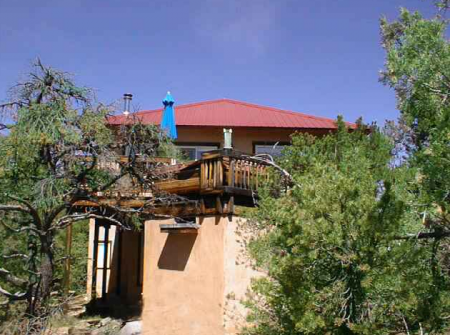 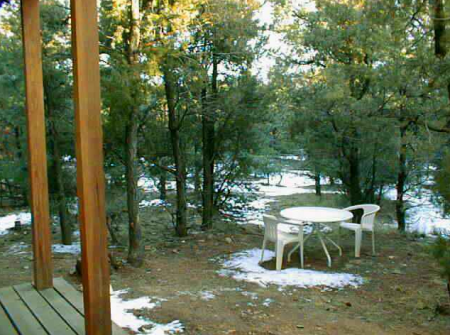 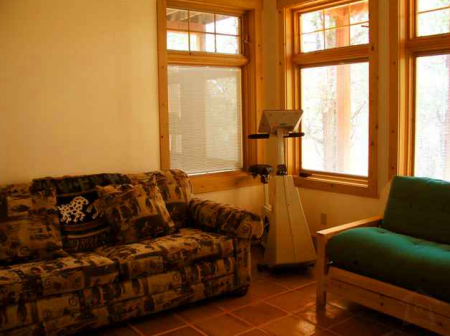 The deck with private hot tub and amazing views make this lovely Taos vacation rental a natural for entertaining or "getting away from it all".